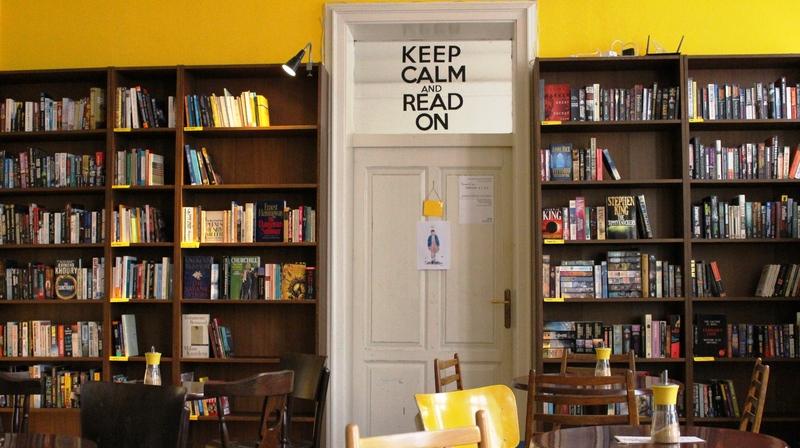 Eleven Books & Coffee is a bookstore in the first place. The cafe part aims to make the time you spend among our books more pleasant. We specialize in books in English. Most of our stock consists of used books but we have a smaller section with brand new titles as well. Our bookstore also offers a smaller selection of books in German and a few shelves of titles in other foreign languages. Most of the books we offer can also be browsed in our online bookstore 11th Floor Books. Books ordered online through the website can be picked up in person at our store on Baštova street. We also buy books in English. If you wish to sell some books, or, on the contrary, if you’re searching for a specific title – let us know.